Johnson became an internet sensation with her viral video “Nail Salon”, which led to many stand up, television and film opportunities. That same year she joined the cast of “MADtv” as a series regular, which spawned another internet sensation, “Bon Qui Qui.” This original character, a disgruntled fast food employee with no filter, has been enjoyed, viewed and replicated by over 65 million people worldwide. After recording and releasing 3 songs and 2 music videos as Bon Qui Qui, Anjelah signed a record deal with Warner Bros. Records to release a full album titled, “Gold Plated Dreams”, which She’s toured twice selling out both times. Bon Qui Qui teamed up with Benefit Cosmetics for her third music video “This Is How We Do It”, and early in 2016 she released her newest video off the album, “Shut Us Down”. All the songs are available on iTunes and the videos are currently on YouTube. 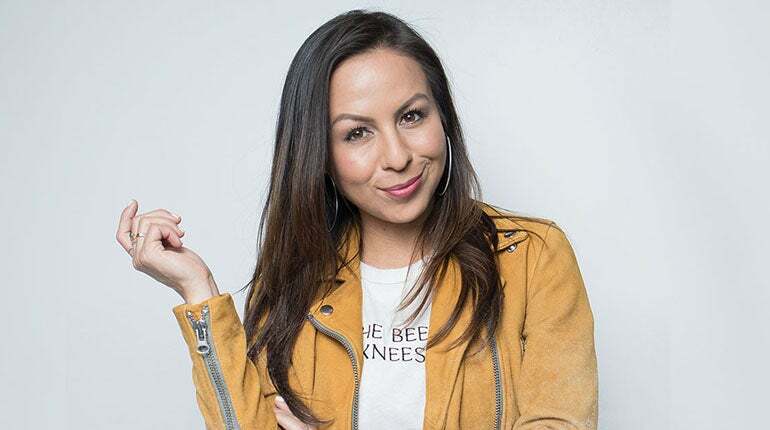 Anjelah has appeared in multiple ads & commercials, plus guest starred on shows such as The Shield, Ugly Betty, Curb Your Enthusiasm, and others all while touring with her stand-up comedy. She also starred in such films as OUR FAMILY WEDDING, ALVIN AND THE CHIPMUNKS: THE SQUEAKQUEL, and ENOUGH SAID. The film MOM’S NIGHT OUT not only features Anjelah but also her husband, musician Manwell Reyes of the band Group 1 Crew.